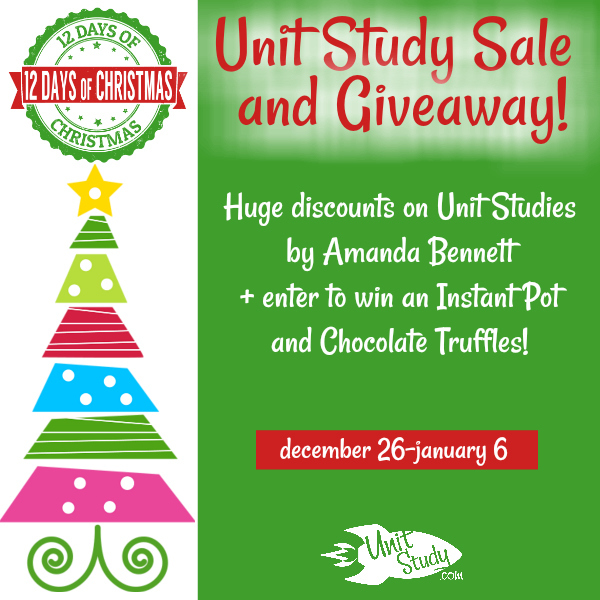 Check out the 12 Days of Christmas Super Sale from UnitStudy.com! For the next 12 days, they will have several unit studies marked down for just 24 hours. There will be different titles offered each day from $3-8! Titles will include products from both the Download N Go and Unit Study Adventure series. With prices this awesome, it’s a great time to stock up on unit studies for the rest of your homeschool year and beyond! Be sure to check back at the above link each day for new titles to enjoy! Disclosure: This post contains affiliate links. This means that, at no extra cost to you, I may earn a small commission if you click through and make a purchase. This will help me to continue to bring great content and deals to my readers. Thank you! 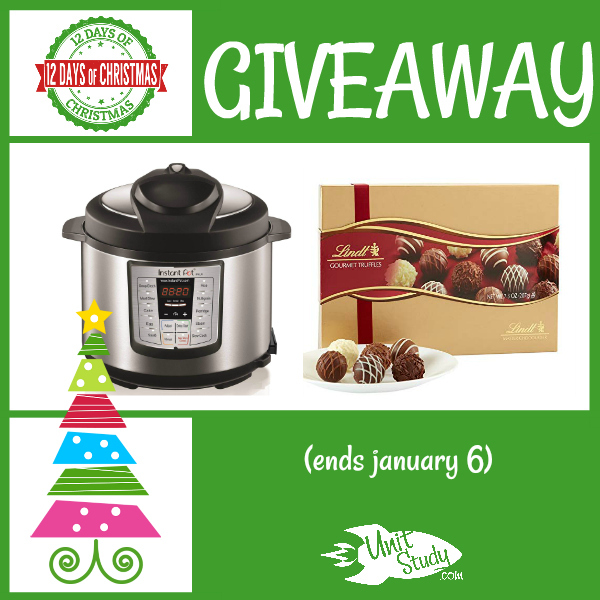 To help celebrate the 12 Days of Christmas, Unit Studies is giving away a 6-quart Instant Pot Lux and a box of chocolate truffles. Be sure to enter by clicking here!